The Trail of the 100 Giants took us a couple of hours to walk the less than a mile and a half trail. We oohed and awed and found that the massive trees were multifaceted. Each side looked different from the other sides. The elephant club feet fascinated me and the fallen giant was so broken over a large expanse that it broke my heart. 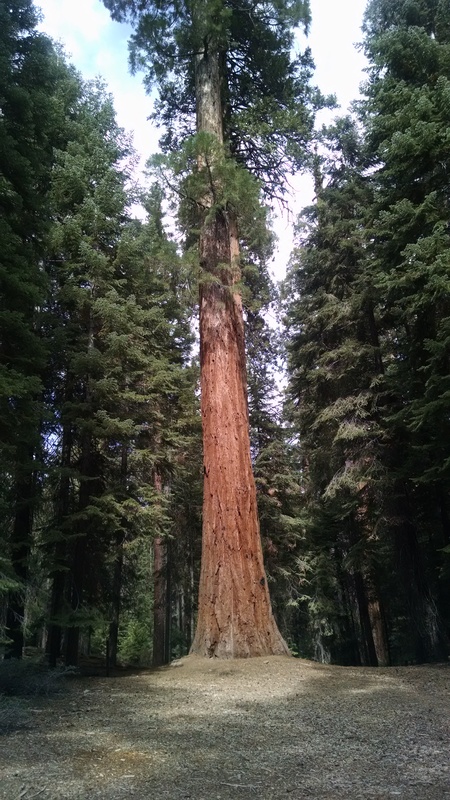 I learned that the trees may be nearly 200 feet tall , but the root system is only six feet deep and that each tree needs a couple of hundred gallons of water a day to sustain it. The ages varied but some were thought to be over 1500 years old. California is in a severe drought so rain and snowfall is on everyone’s wish list. 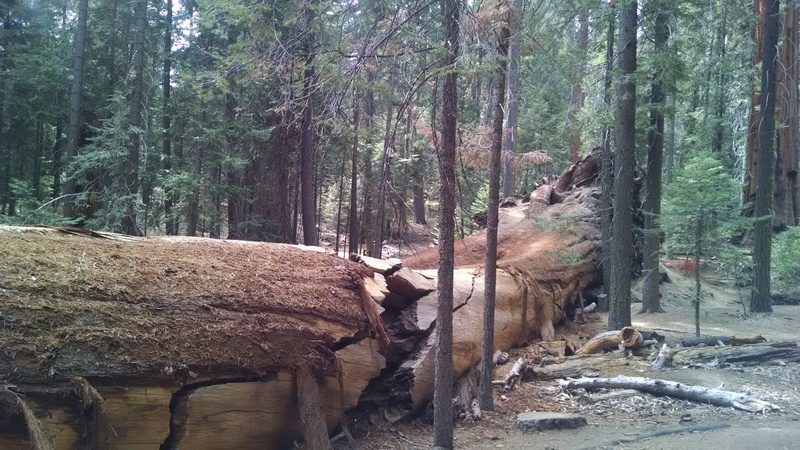 Two Giant Sequoias Fell at the Trail of 100 Giants on September 30 2011. No one was hurt, but some Germans vacationing in the park managed to get a few seconds of video of the Giant tree falling to the ground. Click here to see the you-tube video. We met a trail visitor with happy tears welling up in her eyes as she exclaimed that she had just “fallen in love with the trees”. Her husband smiled and patted her, agreeing that this was “something special”. We agree, The Trail of the 100 Giants” truly is spectacular! One fell in 2013. Does that mean it is 99 Giants now? Giant number 1 greets at the start of the trail.